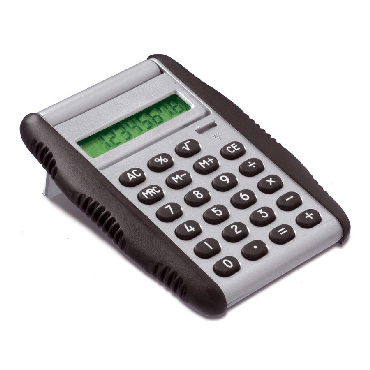 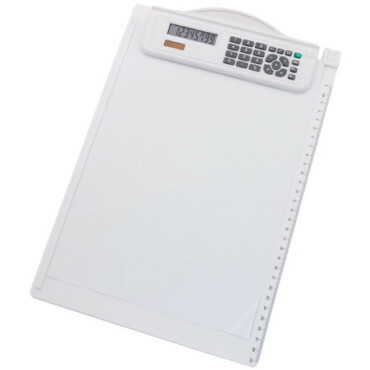 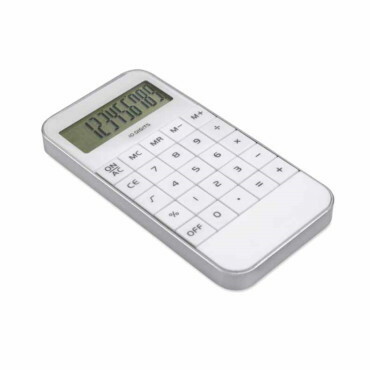 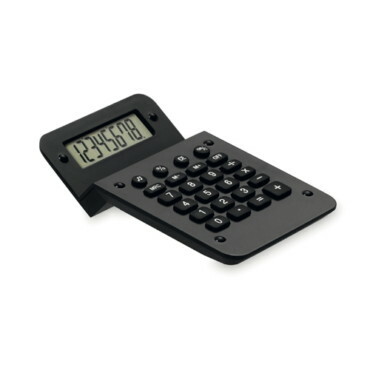 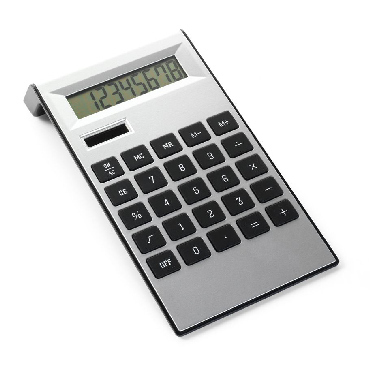 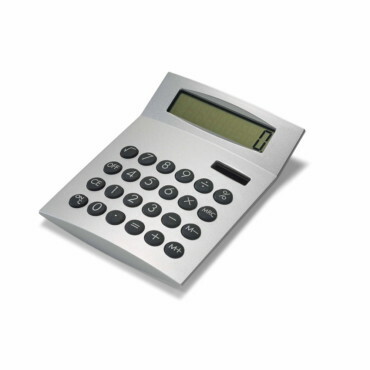 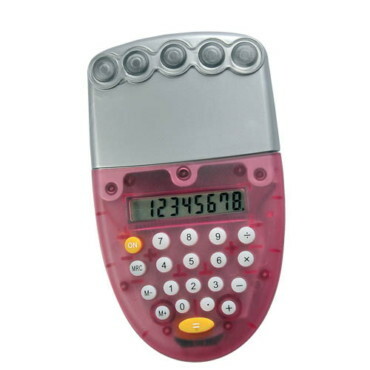 Calculator with sliding display. 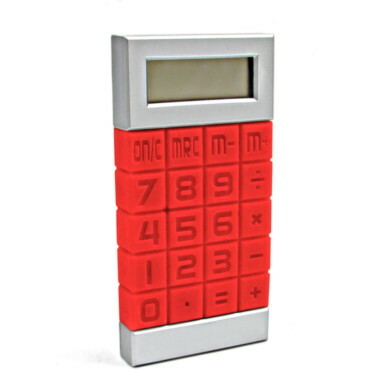 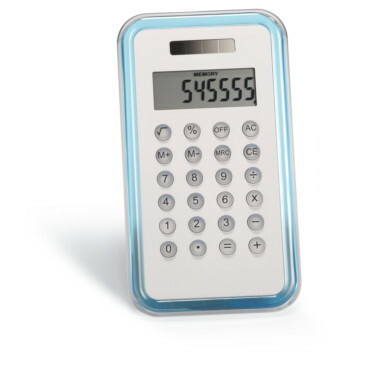 Calculator with hidden keys below the sliding display. 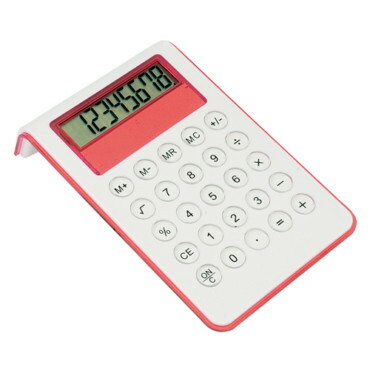 Features calendar, date and time. 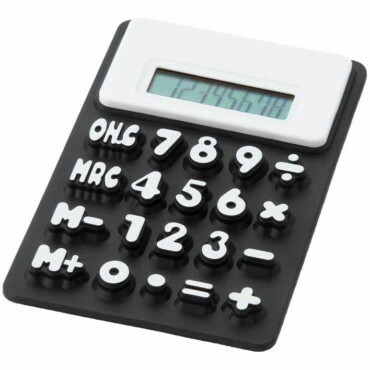 1 button cell incl.